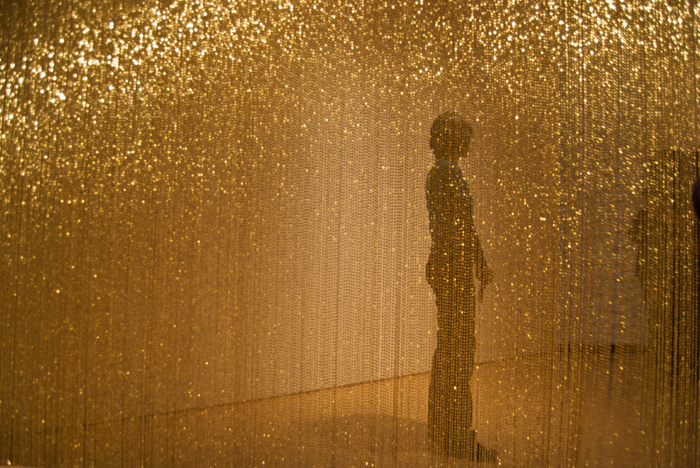 There is no artist more synonymous with the poignancy, wistfulness and desolation of art made within the crucible of the HIV/AIDS crisis than Felix Gonzalez-Torres (1957–1996). Within the maelstrom of that government-sponsored holocaust, his experience of it, and its effects on his communities, he created work of such melancholic grandeur and romantic sorrow, that decades later—even among the relentless torrents of the art world’s digital age—his legacy remains a touchstone of unsurpassed, reflective power. In the two-page press release for the current Gonzalez-Torres exhibition at David Zwirner Gallery in New York—which now co-represents the artist’s estate with Andrea Rosen Gallery—there isn’t a single mention of HIV/AIDS, his pivotal relationship with his lover Ross Laycock (1959–1991), his status as an HIV positive, out gay man, his death from AIDS-related complications, or his cultural heritage as a Cuban-born American. These are all inextricably understood factors that have influenced his work. Instead, the focus is entirely on the formalist tendencies, minimalist qualities, and multifarious readings of his work that the gallery hopes might be reached if troublesome biographical information is omitted from this astonishing document. 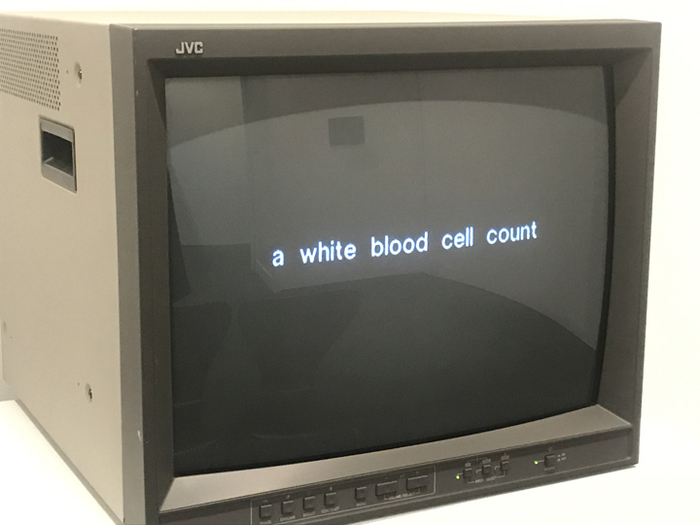 The exhibition text mentions Untitled (A Portrait) (1991/1995), which consists of white phrases appearing sequentially on a black screen—including “a merciless cardinal,” “a night sweat,” “a white blood cell count,” “a hateful politician,” “a new lesion,” and “a shortness of breath,” among more benign expressions—explaining that “the subject(s) remain unspecified,” and the piece invites “viewers to provide their own imagery and associations.” No, it doesn’t. The piece is firmly situated in the realm of politics and introspection regarding illness/HIV, prejudice, decline, and perhaps hope. In fact it provides the viewers with suggestions of imagery. 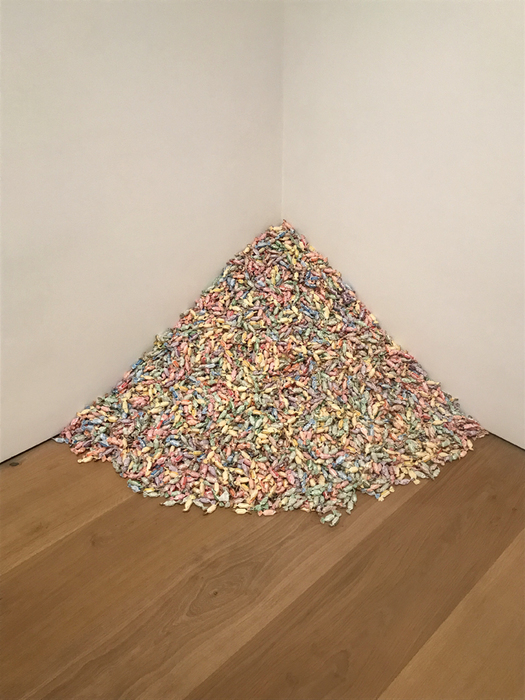 Also noted—barely—is Untitled (Ross) (1991), a pile of candies in multi-colored wrappers, with an ideal weight of 175 pounds. Viewers may take the sweets, and the gallery may replace them. 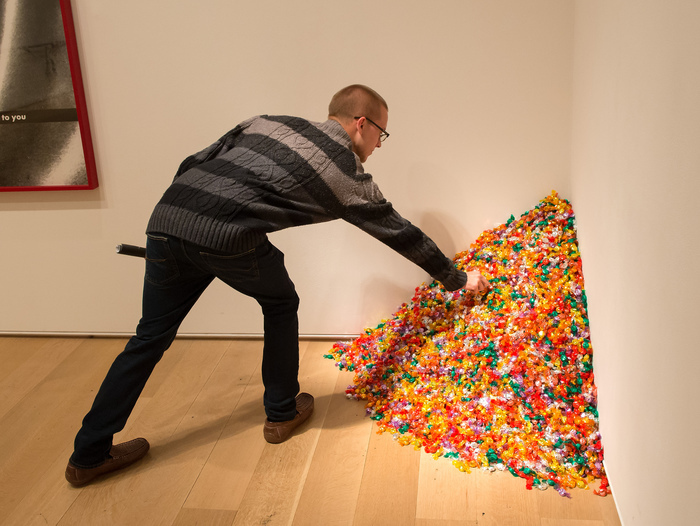 A similar candy spill, Untitled (Portrait of Ross in L.A.) (1991), was shown in 2010 at the National Portrait Gallery in Hide/Seek: Difference and Desire in American Portraiture. The curators of that show, David C. Ward and Jonathan David Katz, describe that work as a diminishing likeness of the artist’s partner from his healthy weight of 175 pounds, in the political context of AIDS. Of their display, a Zwirner representative told me that the piece had no correlation to Ross’s healthy weight. According to the Felix Gonzalez-Torres Foundation, the artist never confirmed either way, and suggested that both explanations are too definitive. Including Untitled and Ideal in names of artworks were Gonzalez-Torres’ strategies to resist specific meaning, the Foundation said. But when the work mentions “Ross” there is only so much interpretive openness an artist can demand, especially when layered with the pathos of historical distance, and the coalescence of public opinion on the underpinning of the work, which would seem to favor the explicit link to Ross, and is arguably as valid as the artist’s supposed intent. The closest fly-by of incontrovertible principles comes with the flaccid concession that the artist’s works “implicate the body itself.” This is understatement defined. What is this mania for needing art to be as open-ended as possible, even evolving it away from its truths to make it so? Yes “a hateful politician” fits today’s unhinged circus, but spinning the work as endlessly attachable to every new era risks thinning its credibility to the point of meaninglessness. To write such an introduction to Gonzalez-Torres’ oeuvre without discussing the deep wells of experience from which it was drawn, is insidious literary fraudulence that displays cinematic denial and retrofitting deviance. every exhibition provides the opportunity for a more expansive, complex conceptualisation of the artist’s practice rather than an attempt to present (or preserve) a singular concrete or ‘correct’ interpretation of the work. 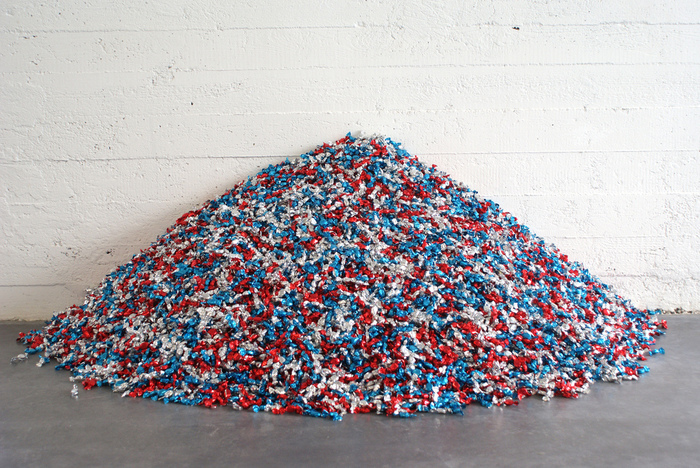 may encourage viewers to project the other possibilities of exhibitions that the uniquely open and transformative nature of Gonzalez-Torres’s work allows. Gonzalez-Torres’ work is not “uniquely open.” It is uniquely located within distinct socio-cultural and political constituencies that such tortured language flagrantly suppresses. Similarly, the Felix Gonzalez-Torres Foundation—housed on the same 500 block of West 24th Street as Andrea Rosen Gallery, and whose president is Andrea Rosen—elucidates no personal details on its website. “AIDS” appears only if that acronym is part of an exhibition title listed in his 76-page CV. 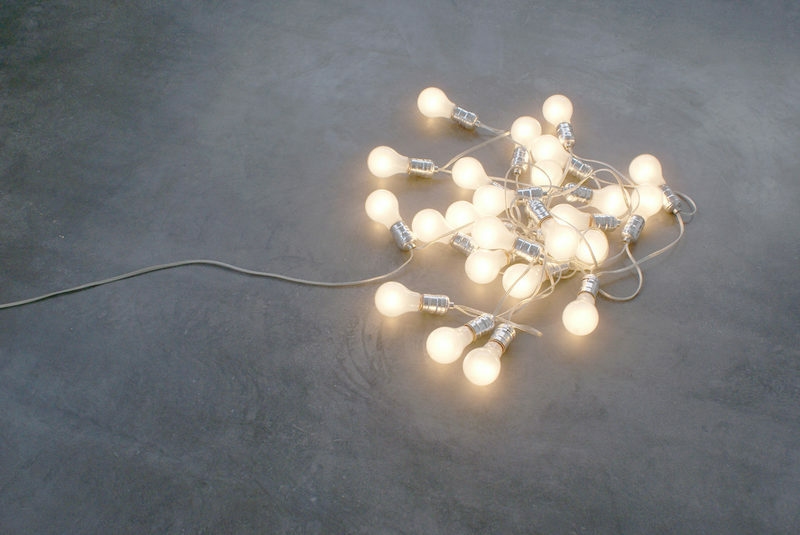 The Foundation does intend to foster “a diverse exchange on critical topics regarding the work of Felix Gonzalez-Torres,” which is coolly worded toward structural and aesthetic concerns. Asked about the omissions, David Zwirner Gallery offered the preference of Gonzalez-Torres himself for witholding his narrative—something he implemented in press releases during his lifetime. That may be so, but when an artwork leaves the artist’s studio, it is no longer his or the gallery’s prerogative to demand how it is discussed, seen, or understood. Multiple readings need not come at the exclusion of crucial biographical interpretations, particularly ones that have gained dominance. This is especially so when the artist became as prominent and the arc of his personal story so bound to his practice as is the case with Gonzalez-Torres. While Gonzalez-Torres specifically chose to leave the meaning of his artworks open to new and changing contexts, the details of his life and the socio-political circumstances under which his work was made are certainly compelling entry points to the work. the press release that accompanies the Zwirner exhibition does focus on the formal aspects and the contextual openness of the work, but that doesn’t negate other readings of the work. We find that, most often, information about the artist’s personal biography is incorporated in similar texts, reviews, press releases, etc. Such acrobatic explanations by these institutions are conspicuous for their promotion of constant new readings while relegating what have come to be considered as foundational impulses of the work to mere discardable starting points. The consensus of fondness that has formed toward the humanity in Gonzales-Torres’ work means that the subtleties and complexities of his conceptual strategies to defy specificity and keep the personal in check—focusing on equally or more important facets to him and his handlers—have been overwhelmed by the weight of history, hindsight upon that moment of unutterable loss, and affection for his poetic brilliance. Romanticism overpowers Minimalism here. So that to continue insisting on that openness above all else, is a disservice to his legacy. Even his wishes for the work are of secondary importance to the affecting power of his presence. Is that not the ultimate success of art: to connect so broadly beyond even the parameters set by the artist? It is therefore torrid artifice and duplicity on the part of the stewards of his legacy to hide behind what the artist preferred twenty years ago, when it was from that intimacy that his art derived a relevance and vitality that still burns so fiercely today, particularly for the constituencies—both older and younger generations—traditionally appreciative of and implicated in those areas of his work; artists living with HIV/AIDS, LGBTQ communities of color, and the Queer/Art communities generally. For these stakeholders, the party line espoused by more powerful custodians of his legacy can feel like violent erasure. To be clear, Gonzalez-Torres’ work is often discussed in academic and artistic spaces in the context of HIV/AIDS, recently in Art AIDS America (2016) at the Bronx Museum, and in the aforementioned Hide/Seek: Difference and Desire in American Portraiture (2010–11). But responsibility for those central issues ought not to be relegated and devolved outwards, piecemeal and fragmented, to group exhibitions at other galleries, however eloquently it is done, while the most comprehensive, international solo exhibitions of his work organized by the guardians in charge of his legacy shirk their responsibilities. Should they not be front and center, leading discourse and research on all aspects of his work and biography? In not seeing sexuality or HIV mentioned in the biography of an artist I so closely relate to my own thinking around HIV and sexuality I can’t help but feel as if the exclusion is supposed to make me feel small, unwanted, disconsidered. Are there not enough of us that relate to his work in this way to matter? Or is it that we don’t have enough money? It stings to have all our work, consideration, passion, projection, and scholarship not merit even a single mention, a line of reckoning. Zwirner, Rosen, and the Foundation know today what the artist could not have known at the time of his death: that the work has come to function as a pinnacle of timeless, elegiac contemplation on that awful period of decimation. And that this role of the work only increases with time. Felix was a complicated fellow and frequently contradicted himself but he was pretty open about the moment when audience members would look at what appeared to be a classic straight minimal object and find out it was made by a gay Latino man. He liked that he could slip into the houses of power passing as a fellow traveller of Judd and Andre and then come out once housed within the institution. He was very specific about the works being informed by watching Ross fade away, lose weight, and disappear from his life, and I am pretty sure he would be more pissed off by the omission of the mention of the specifics of Ross’ death—that was his biggest sorrow—than his own. an opportunity to perpetually reevaluate meaning, the work evolves to take on layers as the world impacts on the work. Recent global events allow these works to be reread in the light of an ongoing historical framework. interpretation is not necessarily consistent but shifts with location, pointing out the freedom and need for a non-homogenous point of view. people forget that as we have become so good at treating HIV/AIDS, it’s now more a shameful disease as opposed to a violating disease. Young medical providers often don’t know how to treat AIDS, only HIV infection, which is much less complicated. So many of us grew and expanded as people because of those who bravely journeyed through with their lanterns lit. They helped teach us to appreciate and embrace our own health and our own diseases. This artist’s connections to the AIDS crisis still have much to teach us about living in our bodies, relating to others, and gratitude for our health. I want to have power. It’s effective in terms of change. I want to be like a virus that belongs to the institution. All the ideological apparatuses are, in other words, replicating themselves; because that’s the way the culture works. So if I function as a virus, an imposter, an infiltrator, I will always replicate myself together with those institutions. Darren Jones is a Scottish, US-based critic and artist. His new book, with David Carrier, The Contemporary Art Gallery: Display, Power and Privilege, is available now.